Following last month’s ‘Channel in a Box TV’ debate, industry consultant Russell Grute explores the future of Channel in a Box and asks whether there has been too much emphasis on the ‘box’ rather than ‘channel’ part of the discussion.  In last month’s issue of TVBEurope, the original and controversial ‘channel in a box’ proposition was debated again for 2011. While now a mainstream discussion among those trying to perfect next-generation broadcast playout, for many, clear answers remain elusive. What is the best approach to evaluating this potential technological breakthrough? Has there been too much emphasis on what is technologically possible ‘in the box’ and not enough clarity with the ‘channel’ part of the proposition? There was certainly a lot of squabbling over the terminology in last month’s feature. So what’s in the box? Firstly, and briefly — as this was covered thoroughly by contributors — the channel in a box (CiB) proposition is actually very ambitious. In ‘the box’ a single subsystem; comprising hardware or software, more likely the correct blend of both, assembles multi-format content in realtime by replacing several best-of-breed subsystems. These include: inputs to handle live feeds, tape ingest, multiple codecs and file wrappers, and file management for video, audio and subtitle components that make up final programmes. Add signal processing for DVEs, aspect ratio conversion, up/down conversion and increasingly channel branding. Each of these elements has separate metadata and is produced somewhere upstream by various departments often using disparate processes. To complete the CiB proposition, all of this has to be weighed up against the potential capabilities of an integral automation system and crucially, streamlined integration with the media management and channel management/traffic system. All of this to be provided at a lower price per channel … no wonder so many were sceptical! In short, few broadcasters or service providers get the opportunity to start with a clean sheet. And so when also considering the number of incumbent technology combinations and integration possibilities, any CiB manufacturer is certainly entering a complex content assembly ‘arms race’. Failure to keep up in any one area could mean that you are out or wasting time. Not surprising then that early pioneers entering the market a few years ago have yet to achieve the success they expected. Meanwhile broadcasters have had to launch HD services cost effectively and increase channel branding and onscreen graphics. Simultaneously linear television is increasingly challenged by mobile, on demand and over the top services. Everything is changing. What type of channel do you actually watch? So what about the ‘channel’ part? This is where the most confusion actually lies. Suppliers and customers have often both struggled to articulate their point of view. Whilst technology vendors have attempted to ambitiously blend broadcast and IT technology to develop their own unique value proposition, broadcasters have been searching for a solution to streamline content assembly for their increasingly unpredictable audiences. There is in fact, a wide range of channel types onscreen(s). Taking a solutions rather than products perspective, we are all learning that understanding the requirement is becoming more important than just solving technology problems. Particularly from an end-to-end business planning point of view; perhaps nowhere is this more pertinent than when selecting the optimal CiB approach. An initial view seems to polarise between two main types of channel. Firstly those reactive and manually controlled channels, the original MCR, where channels are almost assembled by hand. Examples include national broadcasters with complex junctions and live events, networks with inserts and overruns, live sports and news — all of which usually require realtime functionality. Improving the presentation of these channels has always been challenging. With a single ‘super server’ or ‘content engine’ and pre-integrated automation, things should be easier. Perhaps they will be in 2011, with updated versions of many CiB solutions. Indeed those that can package their solutions using the latest lower cost yet increased multi-core processing horsepower will help address the realtime I/O, signal path processing and automation hiccups that have troubled most first generation CiB solutions. At the other end of the scale, apparently more straightforward thematic services such as children’s, music and movies are often seen as easier channels to manage. Many suspect that with improved upstream workflow and direct integration with channel planning/traffic systems, thematic channels would benefit most from CiB and could now be driven using a more supply chain type approach. Coupled with the rapid increase of global file delivery for high payload HD, stereoscopic 3D and beyond, this is now true for the long form programmes and commercials. Yet thematic channels have interesting added complications. When a single core service is distributed to multiple regions for example, the number of audio channels and subtitles can increase dramatically in a typical multichannel thematic workflow. But, the biggest challenge by far for thematic channels is in channel branding and onscreen graphics. Broadcasters now compete to keep viewers watching, using much more than great content, a good schedule and a simple station ID. Complex patterns of onscreen promotion during both programmes and commercial breaks are now mainstream; often accompanied by a voiceover in local language. Graphics on the main service promoting ‘coming up next’ and ‘later on’ are now cleverly combined with multichannel and multimedia cross promotions. These inform the viewer what is over on another channel, on the radio and online services. While channel branding is challenging to reproduce onscreen often using live data, it’s actually the back end design and scheduling workflow that is the biggest difficulty for many broadcasters. By adding a graphics or channel branding capability to their offer, each manufacturer has further increased the stakes in the CiB arms race because they now have to compete with best-of-breed in standalone broadcast graphics. In turn graphics technology vendors have now entered the fun from the reverse angle (sic); although most don’t yet call theirs a CiB. This is actually a very compelling proposition, as graphics vendors already have many of the key interfaces for graphics management and crucially better understand the end-to-end graphics design and scheduling workflows. Somewhere in the middle, another type of channel is the self-contained regional TV station, in the US a ‘call letter’ station. Here the business has to cover everything 24/7 for a single channel with very few staff. These customers typically have the smallest budget and actually represent one of the most exacting tests for CiB which begins to look more like a Station in a box. The solution has to do absolutely everything and be extremely resilient; for this type of channel the critical path is very tight indeed. What’s next for CiB in 2011 and beyond? Talking with customers in 2010 it’s clear that initial scepticism has given way and most are trying to find ways to make it work. Choosing the right approach to CiB depends on more clearly deciding which compromises to accept in order to streamline operations and potentially reduce costs. This could be looked at sequentially starting with optimal back end scheduling and content management workflow, the correct level of manual control and finally onscreen performance. Perhaps selecting CiB from those vendors already experienced in automation and workflow is less risky. Following recent mergers and acquisitions the new choices are interesting. Furthermore CiB vendors should have an established relationship with channel management systems and offer robust and properly documented API’s. Most of all though, vendors need the integration services capacity to support higher levels of ongoing integration which this type of technology requires; which in turn should be paid for by customers. Although it sounds like a traditional “product” (Channel in a ‘box’), it’s actually a realtime solution, which requires continuous refinement, testing and support; often while on air. Vendors and SIs could challenge prospective customers to be clearer about the scope of channel type and branding onscreen and which workflows they seek to streamline. Working together could improve the scope and reduce the risks to allow CiB the success it undoubtedly deserves; reducing risk and lowering the stakes in the CiB arms race. Channel management systems will increasingly play a direct role in playout solutions; perhaps soon bypassing automation for some channels. Perhaps channel management systems could directly mount multiple CiB devices rather like a SOA. CiB could offer a high performance building block, or ‘service’, receiving programme and channel branding schedules directly and assembling video, audio and graphics from multiple upstream workflows. For some channels with low levels of intervention, operations can now be monitored-by-exception only requiring assistance when there is an error — even remotely. Improved content validation is also now more important to facilitate higher content throughput. It’s crucial, while unnecessary intermediate transactions or manual checks are reduced, that every piece of content will actually play out. This can be detailed visual QC but equally automatic file checking is now becoming mainstream too. By 2012 streaming type technologies using Flash, H.264 or HTML 5, could be incorporated to enable even higher levels of regionalisation and even the personalisation of services and promotions.